MP Killion Callisto Gwanetsa (file photo). 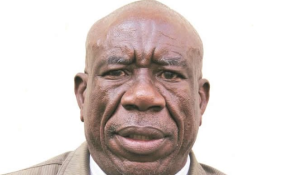 Chilonga — To the uninitiated, it comes as a surprise that despite being aged over 60, local legislator and retired (Rtd) Zimbabwe National Army (ZNA) Brigadier Killion Callisto Gwanetsa, has only been considered a man since two years ago. Pomp and fanfare greeted the Zimbabwe African National Union-Patriotic Front (ZANU-PF)-affiliated Member of Parliament's passage from "boyhood" to "manhood". "Traditional leaders are custodians of the law in their respective areas. This means that whoever wants to enjoy full support of traditional leaders in a particular area has to follow their laws and culture," Gwanetsa said. He acknowledged that even though he was an MP, some traditional leaders in the area kept reminding him that he was still a "boy" for as long as he was not circumcised. "As a legislator, I feel I must lead by example and I find it prudent to respect my chief and elders by upholding their culture and law. I also did this for the purpose of my personal health and hygiene. The Ministry of Health and other health organisations are seriously advocating for this. I also urge every man to be circumcised," Gwanetsa said. "If you read in the bible you will see that when Paul went to preach to the Corinthians, they asked him whether he was circumcised. When he replied that he was not, they could not entertain him. That's the case with me. My people (Tsonga) did not take me seriously because I was still a boy to them" he exclusive told CAJ News Africa.